The HighScope Curriculum has many things in common with any quality early childhood curriculum. There are several major components of an appropriate early childhood curriculum. The environment is of utmost importance as it plays a major role in child development. The daily schedule is also an important factor. The last but possibly most important piece is teacher/child interactions. Let's start by looking at the environment. The environment in a HighScope classroom is arranged in centers. The major centers would be art, table toys, blocks, dramatic play, and books. You might also have computers, sand and water, and others as well. Each center in the classroom is labeled. The Center signs have both a picture and words. This would be sort of like the signs grocery stores use so people can find the aisle they need to purchase a particular item. All of the shelves for materials are labeled as well. I have created a set of Preschool Schedule cards that you may find helpful. Labeled shelves and toy containers promote independence in children. Labels should include pictures and words. You can use clip art, photos, catalog pictures or real objects on your labels. If you run a diverse classroom with ESL students you will also want to use a second language on your labels. It is important that materials in all centers be changed regularly to meet the needs and interests of the children. One good way to make it so you can label the shelves ishighscope preschool to attach a baseball card sleeve to the shelf then slide your labels in and out. I have stored my labels two different ways. You can keep them all together in one container or put the labels in with the toys when you put them away. The classroom schedule is also done in pictures and words and posted at the children's eye level. The schedule should consist of a meal and/or snack, outside time, large group time, small group time," Plan, Do and Review" and "work time". Some of us call the time of day when the children play "free choice" or "center time." HighScope calls this period of time "work time." One thing that sets the this curriculum apart from other curricula is the "Plan, Do and Review" process. Children make a plan about what they expect to do during work time. 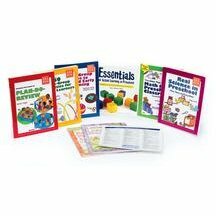 The planning method is included in the teacher's lesson plans. Teachers use a variety of strategies for allowing children to plan. A teacher may allow the children to talk into a toy telephone or a tape recorder. She will ask them what center they will play in. She may also ask who the child will play with or what s/he will do with the materials. She may have them look through binoculars at what they plan to do. Teachers use a variety of creative strategies for planning. Children are not required to stay in the planned area to "work" during the whole work time! The review process comes after work time. Children review what they did during "work time." They use strategies similar to the planning strategies. This gives them a chance to reflect on what they did during "work" time. "Work" time is usually forty-five minutes to an hour. Children may choose the centerhighscope they wish to work in, who they want to play with and what they would like to do. They do this during planning time. All centers are expected to be open and children are allowed to move freely from one center to another. During "work" time the teachers walk around the room teaching social skills and play skills to children. Teachers help children reach the next level of skill in all areas of development by asking open ended questions and offering additional materials. The teacher plans her large group activities to address the needs and interests of the students. These activities include student participation as much as possible. The plans for large group are written so that there are plenty of opportunities for children to offer their own ideas. Each teacher has her own small group that she spends a lot of time with during the day. Each teacher plans her own small group activities according to the needs and interests of her group. Activities are normally somewhat open-ended. A teacher may give each child a handful of beads and pipe cleaner and let them experiment with them. The teacher takes this opportunity to scaffold learning. Teachers often refer children to each other for help. When teachers supply their small groups with art materials they let the children experiment and learn from each other. "Prefab" art projects are not part of the curriculum. Sometimes teachers offer sorting toys or other manipulatives and encourage children to sort or count. A large number of skills can be addressed in small group including physical skills. Children go outside every day (unless the weather is extreme). Children are expected to have a variety of equipment available to them including stationary playground equipment and portable things like balls and bikes. Teachers constantly interact with the children offering them encouragement. Teachers play with children tossing balls, holding jump ropes, etc. Children will have opportunities to read and write in all centers. Teachers are constantly interacting with the students so they are able to help them achieve the next level of skill in all domains. When children are waiting for a turn on the computer they are learning to write their names on a wait list. They may write their own names on their art work. Children will use paper and pencils in the dramatic play area to create menus, signs, lists etc. Some may scribble at first and others may make letter-like symbols. 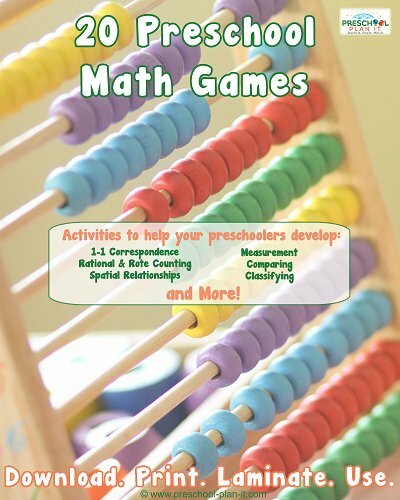 Children will learn to read, count, measure, weigh, bounce balls, sort objects, skip, hop, sing, rhyme, etc. all in the context of their natural surroundings and daily activities. HighScope offers it's own assessment called the "Child Observation Record" or "COR". If you use their Curriculum the COR is a good match. The COR can also be used with other curriculum to assess child progress. Teachers are expected to write anecdotal notes daily about each student. (COR) These notes are used to plan. Ideally the teaching team will meet on a daily basis to plan for the next day. It is assumed that their will be no other curriculum needed with the HighScope curriculum. Teachers are expected to be so tuned in to their students that they can incorporate skill building in all areas of development into their daily plans. Add all of these components together in a HighScope preschool classroom and you will get a quality early childhood program. It is all about the needs and interests of each child!